Amy is a cross-cultural marketing specialist with over 20 years experience helping Fortune 500 companies and leading not-for-profits communicate effectively with diverse consumers. 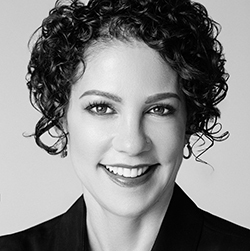 Amy spearheads the creation of relevant and impactful communications for the segments driving growth in the U.S. today: Hispanic, Black, Asian and LGBTQ. She has developed integrated programs (digital, mobile/social, print, content marketing, PR, experiential and shopper) for clients across a variety of industry verticals, including Nestlé, Johnson and Johnson, Citibank, Pfizer, Amtrak, Marriott, Progressive Insurance , HBO, and the American Heart Association . Amy is an adjunct professor at CUNY’s City College Campus, where she teaches Cross-Cultural Marketing and Advertising Planning. She holds a Master’s degree from the University of Pennsylvania and Ph.D. from Stanford, and is fluent in English, Spanish and Italian.